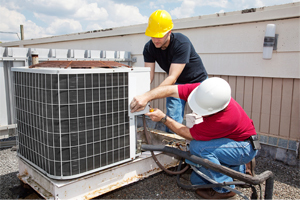 Danforth is a full service commercial and industrial HVAC and Plumbing Maintenance service provider with office locations in Buffalo, Rochester, Syracuse and Albany, NY. We are a licensed and insured maintenance contractor with more than 100 years of combined experience and we build a partnership with our clients to achieve their operational goals. Well maintained mechanical equipment can reduce a facility’s operational cost by up to 30% and increase lifespan by several years. Our Maintenance Programs are designed to keep your equipment running longer, reduce energy consumption, eliminate emergency service calls, and create a comfortable environment throughout the facility. These Programs are custom tailored to meet the needs of our customers and the equipment being serviced. Danforth’s approach to Commercial Maintenance Service is simple. We survey your HVAC and Plumbing equipment to identify problem areas in your mechanical system and then develop a plan that works best for your facility. We offer comprehensive maintenance packages that range from Full Coverage, annual agreements to cafeteria style services. We encourage proactive maintenance solutions to achieve consistent equipment performance and operational spending while reducing the chances of an emergency breakdown. Start Your Commercial Maintenance Package with Danforth. Meet with one of our Commercial Maintenance consultants. We’ll outline our process and begin your project estimate. Fill out an Online Estimate and we’ll reach out to you with a Commercial Maintenance proposal drafted to your exact specifications. Get answers about our Commercial Maintenance services and speak with a knowledgeable Commercial Maintenance Expert.